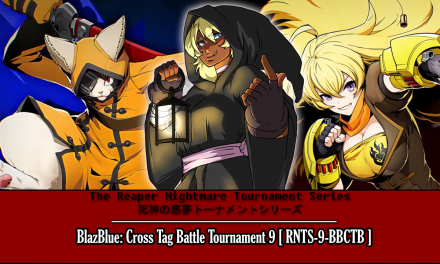 Thursday, September 6th marked the 10th tournament for THE REAPER NIGHTMARE TOURNAMENT SERIES | 死神の悪夢トーナメントシリーズ for BlazBlue: Cross Tag Battle! 15 competitors fought it out to see who would come out on top! Blazing battles were happening in the digital arena, however, only one Champion could emerge as victorious! 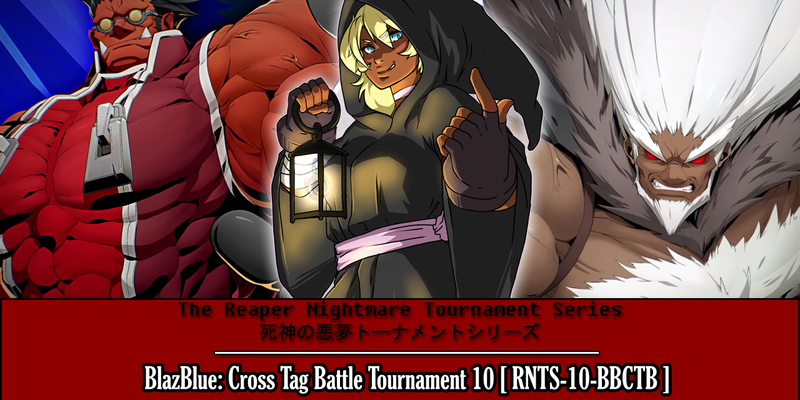 This tournament was special for two reasons; the first is that it was the 10th tournament for THE REAPER NIGHTMARE TOURNAMENT SERIES | 死神の悪夢トーナメントシリーズ and the second was that it was the very first tournament I had completely overslept past when it was suppose to begin. Big shoutout to the staff for RNTS (Riot and Flex) for handling the tournament organization and streaming without me being present to get it started. Some people could have easily been like, “Well, he isn’t here, tournaments not happening”, but they chose to go ahead and get it going. I am really appreciative and know I chose the right people to help me out. Tikhaos is our champion! 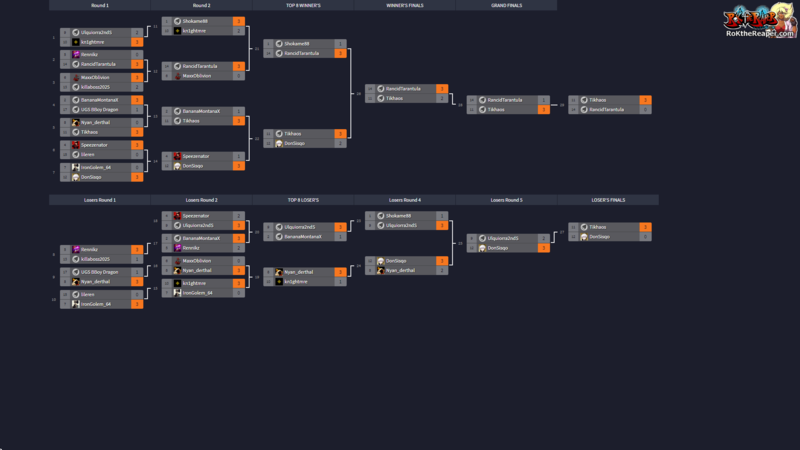 As you all know, he is a returning member and has competed in previous RNTS tournaments and this is his first victory! What was surprising is that he took out RNTS-9’s champion Nyan_derthal in 3-0 in his very first match, which let everyone know he was on the warpath. Climbing out of the Loser’s bracket after his defeat to Rancid 3-2, he managed to win 3-0 against him in Grand Finals. 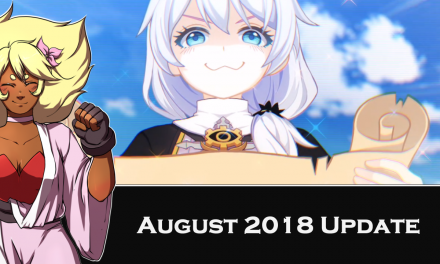 DefinitelyNotRanc makes his return to the RNTS series after forfeiting previously after having to fight Phoenix in unfair conditions due to his horrible connection. Proving that his Es/Platinum team has stood the test of time, he had an undefeated run into Grand Finals on the Winner’s side. Unfortunately, due to whatever reasons, he did not want to play another set if he managed to lose to Tikhaos during Grand Finals. Rather than go into Loser’s bracket and have a chance to make adjustments, he forfeited the 2nd match against Tikhaos and took 2nd place. I would have definitely liked for Rancid to have played the match out to completion, especially since he could have made adjustments and won since he managed to do so in Winner’s Finals against Tikhao’s team. DonSisqo has had steady improvements, but his weakness really showed in Loser’s Finals against Tikhaos. 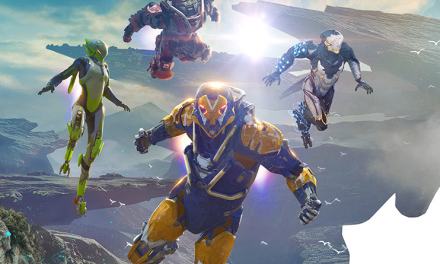 Filling in gaps with Reversal Actions and taking low-damage risks does not pay off against a team with massive life and damage of its own. Hopefully he has learned from this and goes back to learning solid fundamentals that can help him out in these types of situations by playing less risky with more gain if he does choose to play so. 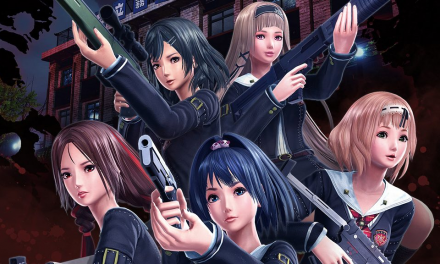 Shokame88, everyone agreed that this is the most solid match he has played with his team of Yuzuriha/Gordeau. In fact, this is the longest I think I have ever seen him stick to one individual team without changing up the point or sub characters. Definitely looking forward to him wrecking shop in the future if he is to keep up this trend of player progression. Nyan_derthal, our previous champion managed to loser in Top 8 Loser’s side against 3rd placer and previous champion, DonSisqo. Surprisingly that he went out so early since many (including myself) had problems against his notoriously mix-up based team of Jubei/Yang. Hopefully he comes back and does big things! killaboss2025 normally has some of the most fun matches to watch and commentate, unfortunately he did not make it past last place. Hopefully he comes back once he has solidified his team and goes absolutely nuts in RNTS-11. Next2B of NieR: Automata Revealed for Soul Calibur VI!